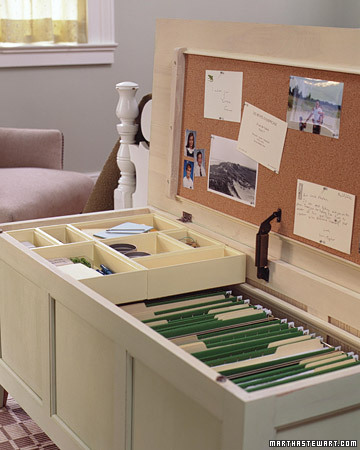 Need a home office but have no space? Check out this chest turned office space. This can be easily tucked away in a corner, at the foot of the bed, in a hallway, a guest bedroom or even double as a coffee table in a living room.